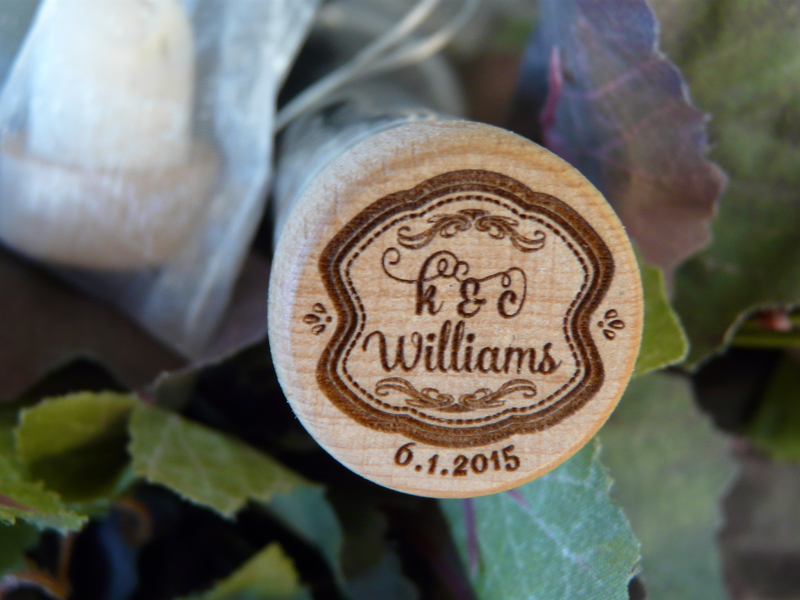 Personalized wine stoppers make great favors for weddings, reunions, or thank you gifts. 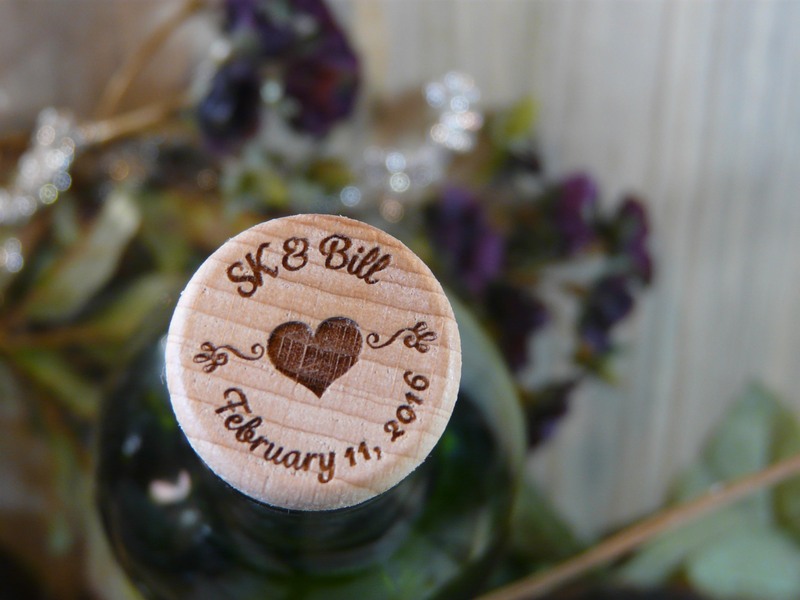 These wine corks are custom laser engraved with your design, whether you prefer a monogram, a fleur-de-lis, a state theme, or more. 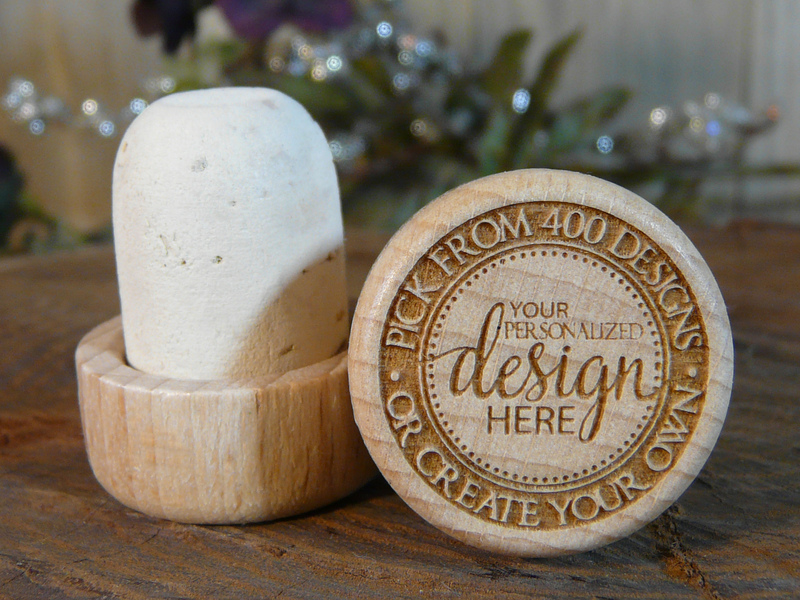 We have 400 designs to choose from in our catalog! 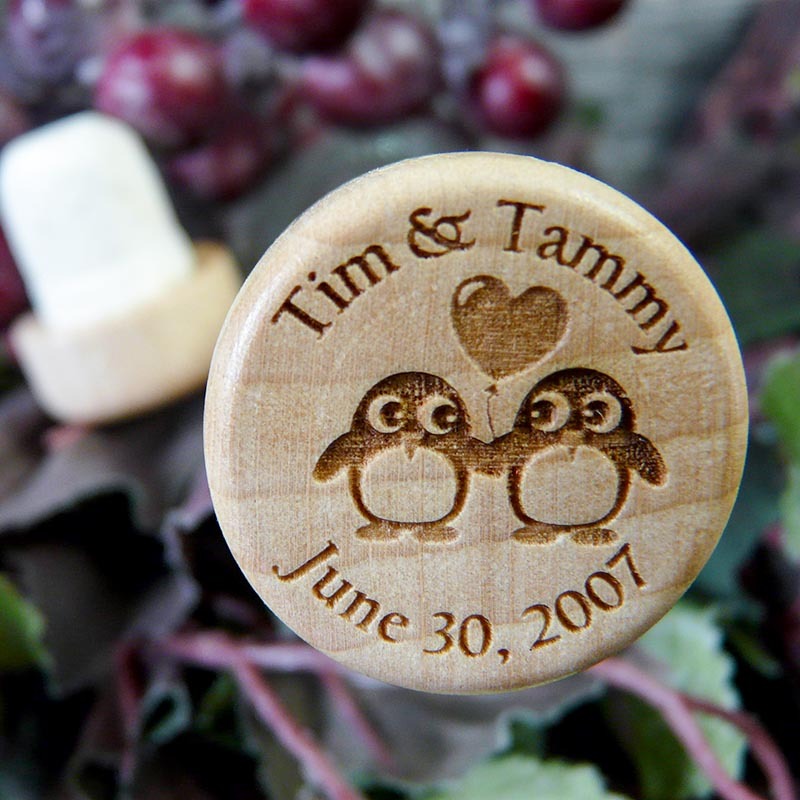 If you’d prefer to upload your own design, we will convert it to an engraving file FREE for orders of 20+ stoppers. $15 custom art fee applies to orders below 20. 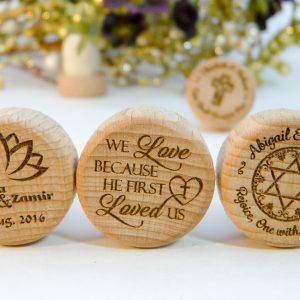 We believe that Lazerworx Design Studio’s laser engraved wine stoppers are among the most unique wedding favors you’ll find online, and lazerworx.com is the best place to buy personalized wine stoppers. 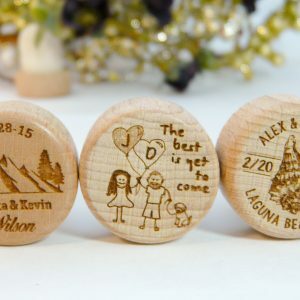 We also want to be the cheapest online store to buy personalized wine stoppers, so we offer a 100% price match guarantee for the same quality of wine stoppers advertised on sites like Etsy, Ebay, and more. 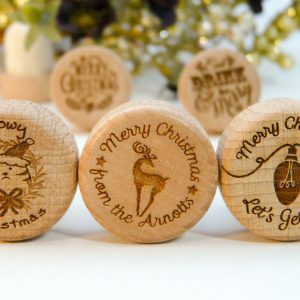 See our personalized wine stopper 100% lowest price guarantee for more details! If applicable, please enter our design catalog number and a brief description. If you’d like to use your own art, we prefer the following specs: 300 dpi, , RGB, Illustrator or .pdf. Design area is a 0.9″ circle. If that’s a foreign language to you, that’s okay. Scribble your design on a solid white piece of paper, send a well-lit photograph, and we’ll redraw it for you FREE for orders of 20 or more! 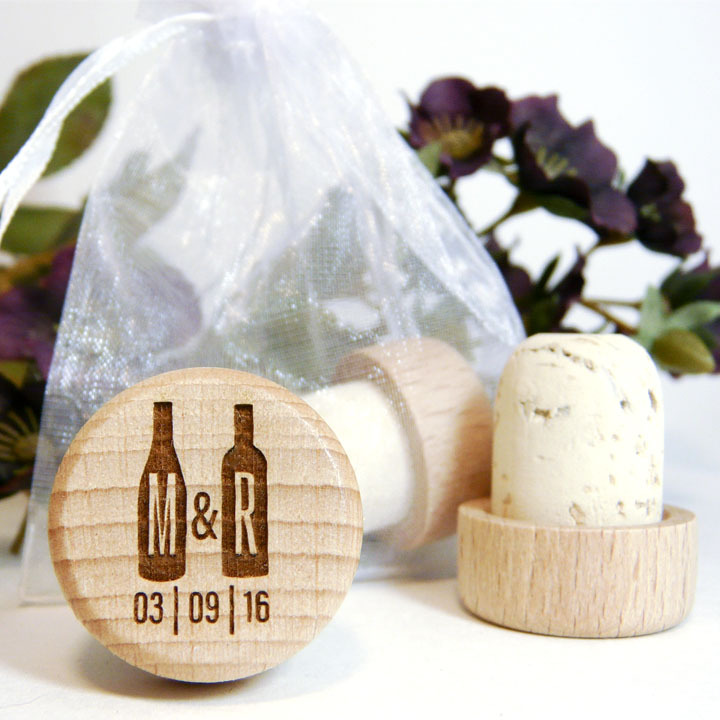 If you choose to add packaging, orders will come pre-bagged for you. 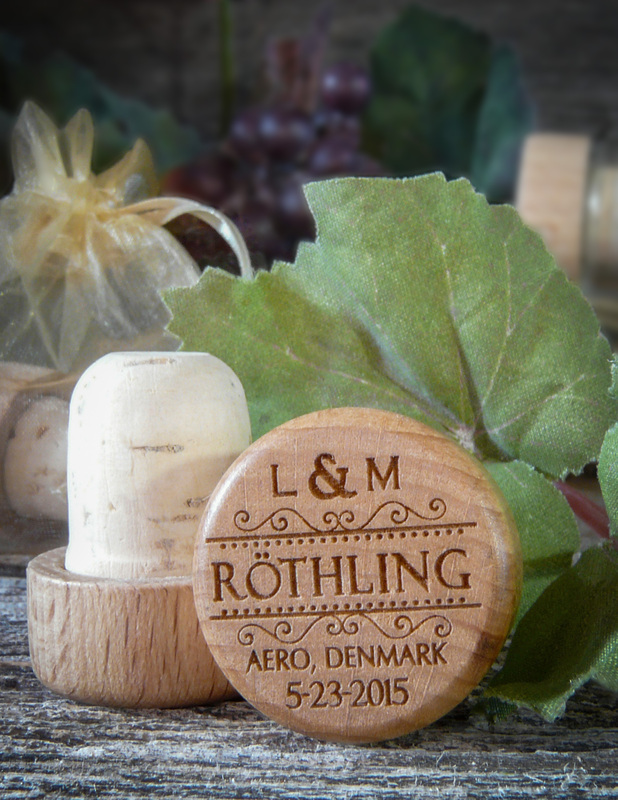 Categories: Personalized Wine Stoppers, Sale! Thank you, thank you, thank you to our social media followers. As a special way of showing our gratitude for your patience as we build our website, we’re offering a very special discount for you. 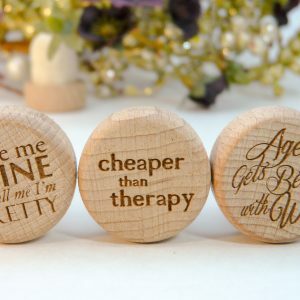 Our custom wood and cork wine bottle stoppers are normally $5 each or $2.65 for 100+. 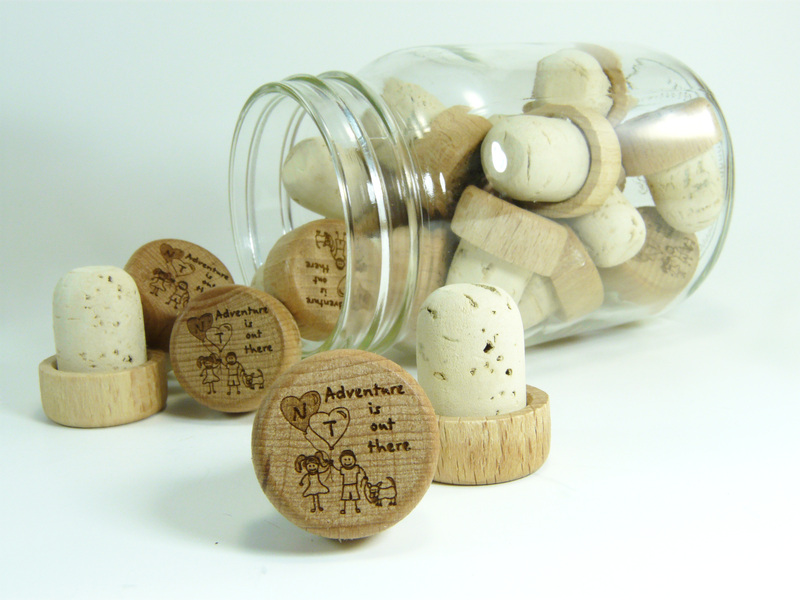 For a limited time only, any design is only $2.25 each, for any quantity! 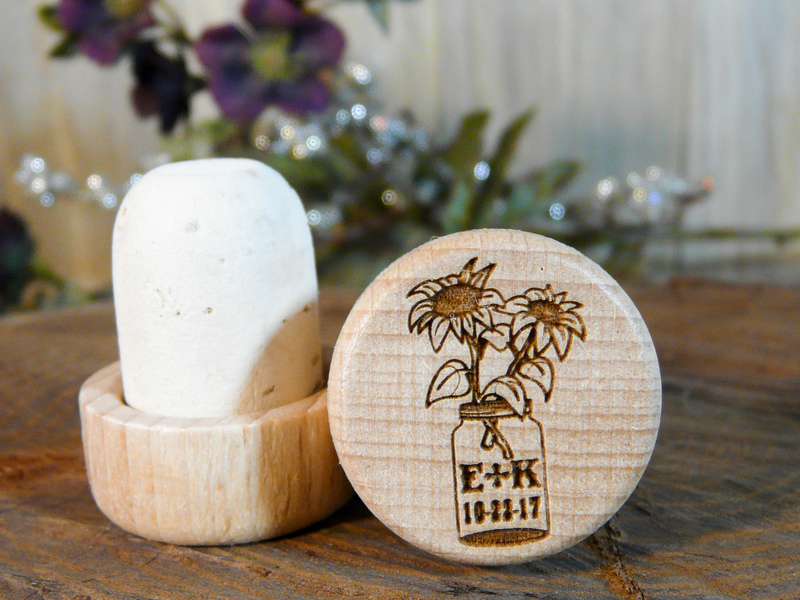 Free proof for orders of 10 or more! Please download our design catalog to choose the design you’d like.